Get ready for your heart to break into a bunch of little pieces. And don't say we didn't warn you. In anticipation of the ITV documentary airing on Monday in honor of the 20-year anniversary of Princess Diana's death, the late princess' former butler, Paul Burrell (whose ties have since been cut from the royal family), told a touching story about Di and her two boys. According to Burrell, during the separation in 1992 (before the official divorce in 1996), "... whenever Diana got upset, they would push notes under her door saying, 'It will be OK'." 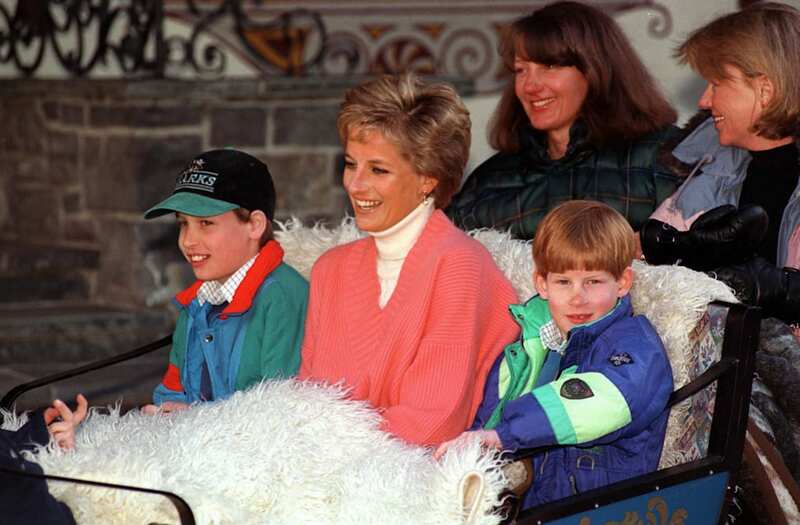 If that's not enough to warm (or break) your heart, the boys, around 10 and 8 years old at the time of the split, would also often sleep in Diana's room. And because she knew "how difficult it was for the boys," she apparently tried to keep them as busy as possible. William and Harry recently opened up about their final conversation with their late mother, and Kensington Palace shared three photos from Diana's personal photo album on Sunday.